That's Davidson County, North Carolina, folks. And, that's the name - for now - of the book club I recently called into. It may become The Upper D.C. Housewives. (ADHD refers to how they always seem to jump from topic to topic. It's not my diagnosis, or anything.) Which name do you all prefer? I called the drink a "Hillbilly Martini" because the glasses were plastic from the Dollar Tree! Below is the recipe I used for what I'm going to call "Martini Punch" which we were sipping during our phone conversation - VERY tasty! This recipe is just right for 10 or 11 martinis. The recipe was actually called "Paradise #3 Punch" which I found by googling "drinks with pink lemonade vodka". Since I added the stuff about flavoring the rim, I figured it'd be ok to change the name! - Slice a lime and rub around rim of each glass. Combine colored sugar crystals (I used hot pink) with granulated sugar. Dip each glass rim in the combined sugar. - Combine 3-1/2 cups chilled Sprite, 2-1/2 cups chilled Sunny-D Orange Juice, and 1-1/2 cups chilled Cranberry Raspberry Juice in a pitcher. - Pour chilled "pink lemonade infused vodka" in each glass then add punch. Garnish with lime wedge. Well, I know what I'll be doing around 5 o'clock today. I will vote for any book club that serves alcohol. And I don't care if it's served in a cheap plastic cup. This page contains a single entry from the blog posted on March 27, 2011 6:11 PM. The previous post in this blog was Nerd Club!. 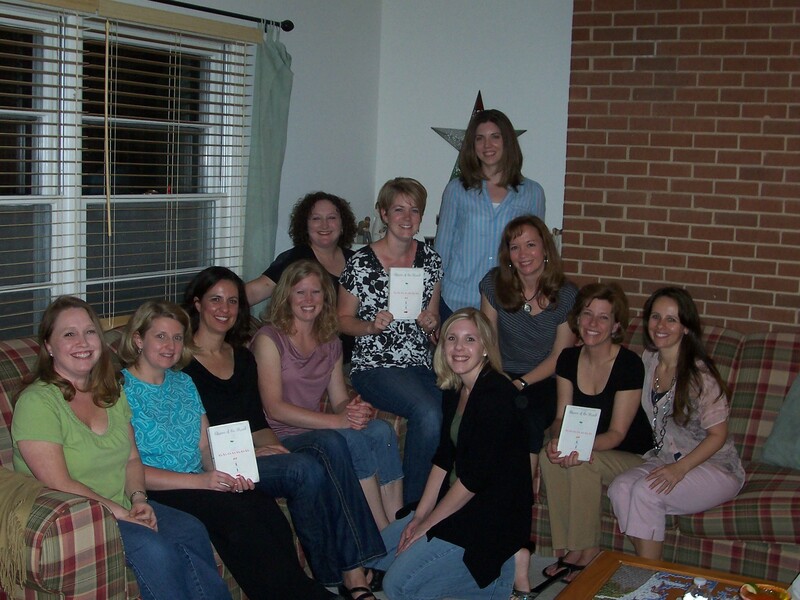 The next post in this blog is Young Indian Cultural Group Mothers Book Club.